Hizbul Mujahideen chief Syed Salahuddin’s son Syed Shahid, arrested in a six-year-old terror funding case, on Monday moved a bail plea in a court here. 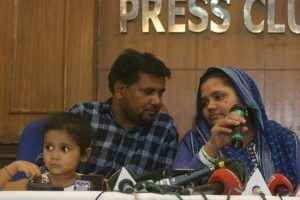 District Judge Poonam Bamba, during the in-camera proceedings, asked the National Investigation Agency (NIA) to file a reply on his bail plea and listed the matter for December 15 for further hearing. The court also extended his judicial custody till December 22. Shahid, 42, a Jammu and Kashmir government employee, was arrested here on October 24 after he was called for questioning at the NIA headquarters. The agency alleged that Shahid was collecting funds from Aijaz Bhat, a Srinagar resident now based in Saudi Arabia and a Hizbul Mujahideen militant, on the direction of his father Salahuddin, who is on the run. The NIA said Shahid was one of Bhat’s several contacts who were in telephonic touch “to receive the money transfer codes”. The money was meant to fund Hizbul Mujahideen’s militant activities in Jammu and Kashmir. Shahid, who lives with his family in Soibugh village of J&K’s Budgam district, works as a village agricultural assistant in the state Agriculture Department. His contractual job was confirmed by the government in March this year. The 2011 terror funding case pertains to terror money sent through hawala channels by militants based in Pakistan and Saudi Arabia to Jammu and Kashmir. The NIA had filed two chargesheets against six accused in the case in 2011. Four of them — Ghulam Mohammed Bhat, one of the closest aides of hardline Hurriyat leader Syed Ali Shah Geelani, Mohammed Sidiq Ganai, Ghulam Jeelani Liloo and Farooq Ahmad Dagga — are currently in Delhi’s Tihar Jail. 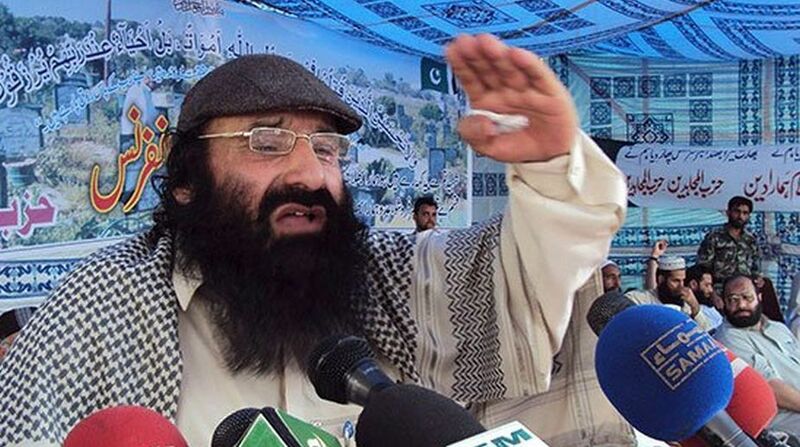 Aijaz Bhat, according to NIA records, received arms training with the Hizbul Mujahideen in Pakistan-administered Kashmir (PaK) in the early 1990s. He never returned to Srinagar and began working for the militant group in Pakistan. He is said to have stayed in Sialkot before shifting to Saudi Arabia for generating funds for the group’s activities in Jammu and Kashmir. An NIA official said the agency, through phone records, found that he was in touch with Ghulam Mohammed Bhat, a Srinagar-based lawyer, in 2011. According to NIA, the lawyer separatist had procured over Rs 4.50 crore from Pakistan through hawala channels within three years after 2008 for funding militant activities in the Kashmir valley. Ghulam Mohammed Bhat, Ganai, Liloo and Dagga were arrested on January 22, 2011 and Rs 21.20 lakh was recovered from them. After their arrest, Aijaz Bhat used to send money to Shahid. The Hizbul founder’s son, according to an NIA official, received at least four instalments of money in 2011, 2012, 2013 and 2014. Shahid is the third son of Salahuddin, who also heads the United Jehad Council, the amalgam of Kashmir militant groups based in Muzaffarabad in Pakistan Occupied Kashmir (PoK). Salahuddin unsuccessfully fought the 1987 Assembly elections in Jammu and Kashmir. He then crossed over to Pakistan and founded the Hizbul Mujahideen — the largest militant group in Jammu and Kashmir. Salahuddin has five sons and two daughters, who are all employed with the state government.